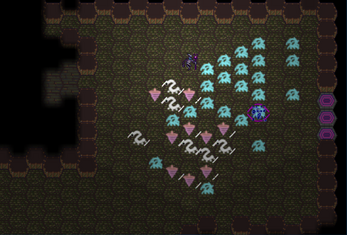 The Trapped Heart is a turn-based roguelike game where you battle monsters in a hex-based world. 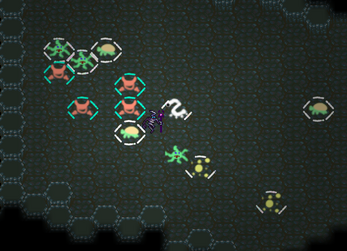 Battles are highly tactical, with enemies dying in one hit but having directional shields requiring thought to overcome. 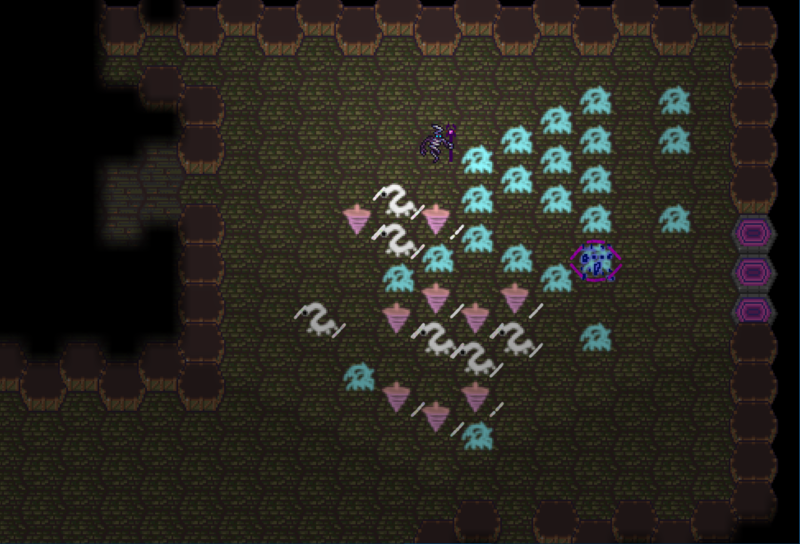 Death occurs by becoming surrounded by walls and enemies, making positioning very important. 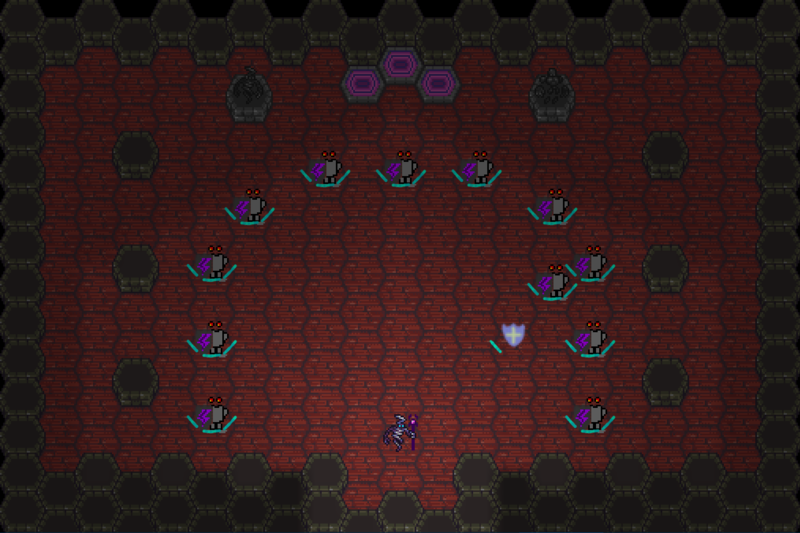 Enemies have direction-facing shields making them harder to hit. 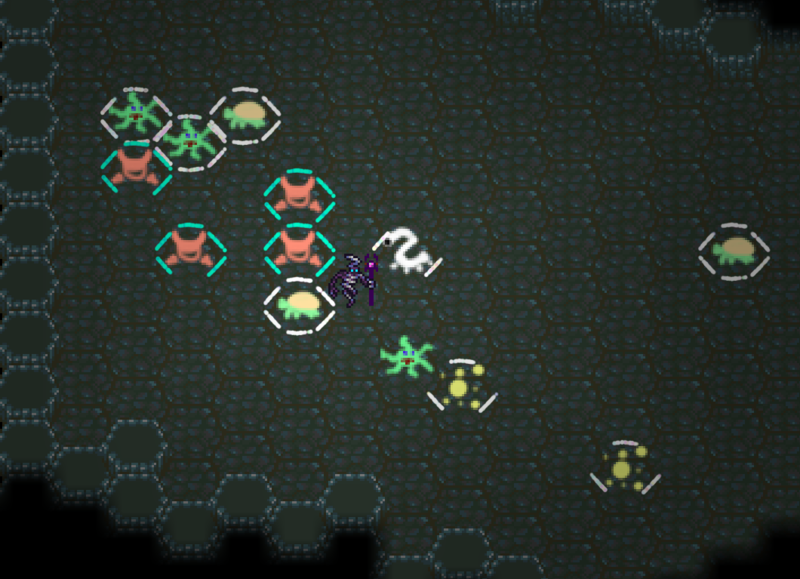 Each enemy type has its own shield pattern and behaviour, requiring observation and clever tactics to overcome. Player powers follow two progression paths dependant on gameplay behaviour. You can inflict direct damage with air attacks, or indirect damage using earth attacks to push players into walls or each other, and customise how these powers evolve. 8 bosses with unique abilities and AI patterns, from the icky Ectoplosion to the charming Knights of Undying Friendship. The true ending is not trivial to achieve, and must be puzzled over more than just one playthrough. 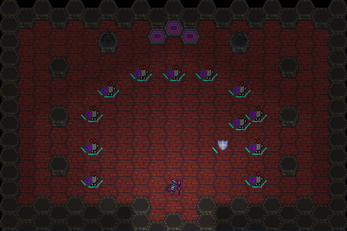 Background and player sprites are by Phoenix849 and the game runs in the T-Engine.